Conducted by AusBiotech and supported by Grant Thornton Australia, the annual Biotechnology Industry Position Survey (2014) has revealed a rather disturbing trend — Australia’s advanced manufacturing companies are heading overseas. It is a well-known fact that Australia can no longer rely on construction and car manufacturing, so investing and boosting technological innovation might just be what the country needs to secure a stable and strong economic future. According to AusBiotech, Australia needs further tax reform to boost its competitiveness and keep advanced manufacturing companies from taking their operations elsewhere. 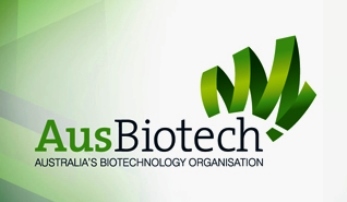 “Australia would benefit enormously from a well-targeted tax incentive to attract and retain [research and development] once it reaches commercialisation, its benefits and the associated high-tech manufacturing,” said Dr Anna Lavelle, CEO of AusBiotech. If a country wants to stay competitive, it needs to offer research and development and patent box incentives, so AusBiotech and numerous other industry bodies and businesses are urging the Government to introduce the Australian Innovation and Manufacturing (AIM) Incentive which is aimed at keeping manufacturing in Australia. “It’s imperative that Australia takes action to remain competitive and relevant on the world stage, especially, when other economies including the UK or Singapore are already reaping the benefits of their tax regimes. Maximising Australian innovation and reinvigorating the manufacturing sector in Australia, largely depends on the existing R&D Tax Incentive being complemented with a tax regime that can secure Australia’s competitiveness for the future,” said Michael Cunningham, National Head of Life Sciences Grant Thornton Australia. 33% of the respondents intend to raise capital in the coming year, while a further 17% are considering fund raising.